The Eurofighter combat aircraft is EADS Military Aircraft‘s number one programme. For extended air-to-ground missions Eurofighter is capable of carrying a heavy weapons load and has functionally adapted weapon stations. The integration of standoff and all-weather precision weapons enables optimised air-to-ground missions to be flown. Fast role change and computer-based role optimisation is ensured by the highly networked computer systems with the appropriate intelligent software. 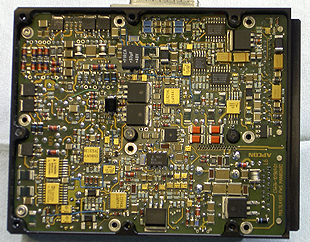 The APCON power supply for the Eurofighter (Tranche II) Armament System Enhanced Distribution Unit (EDU) features the simultaneous transfer of signals between weapon/external stores and various aircraft subsystems and, when required, between external stores, controlled by the weapon bus. In addition to these signal transfers the Distribution Unit detects if audio signals derived from various weapons have exceeded a threshold value and transmits this information via the weapon bus. 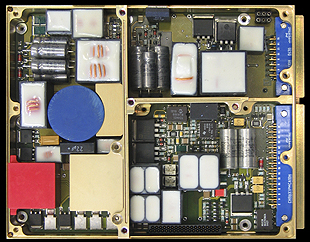 The APCON EFA-EDU power supply provides up to thirteen simultaneous outputs of seven different voltages to the ACS Bus Bar Box, for switching AC Power to the appropriate Station Unit/ASI as commanded via the Weapon bus. 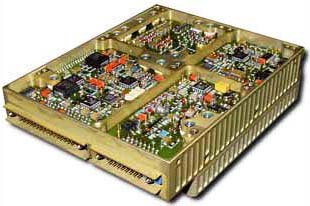 The unit also features an interface to thirteen store stations and the applicable aircraft subsystems and operates from redundant 28V DC supplies. 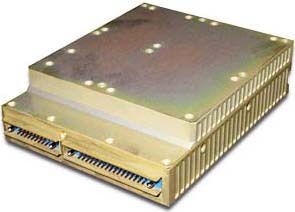 The unit functions over a temperature range from -55°C to +96°C and fulfils full military and aviation requirements. 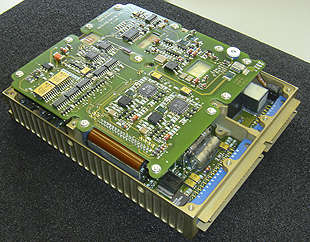 Full military qualified power supply for EADS‘ number one combat aircraft. 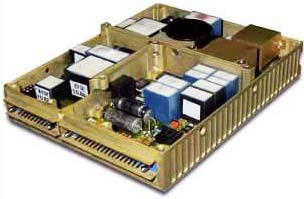 The APCON EFA-EDU power supply provides up to thirteen simultaneous outputs of seven different voltages, operating from redundant 28V DC supplies.